Rm102 used be a storeroom for the owner family, when we started sorting out this room, we opened a garage sale in same time to get rid of things came out from the room. 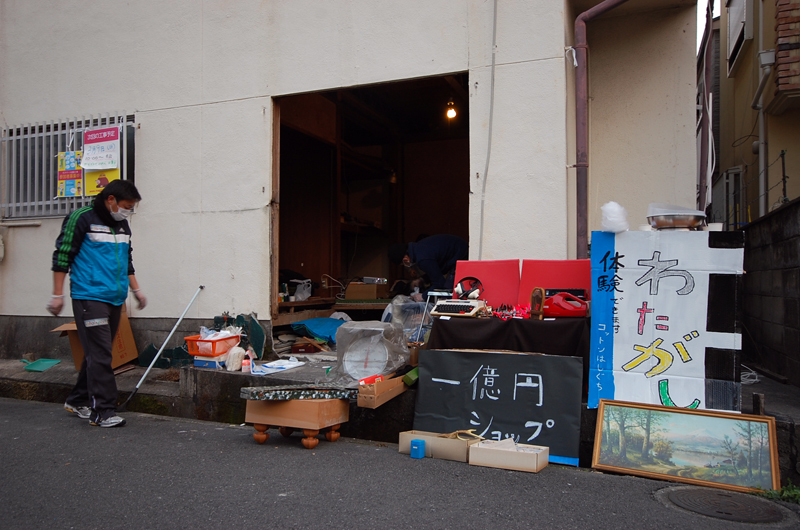 People passing by was confused by this garage sale because most of those items have full memories of the family so the owner could not put the price less than a million dollar for every item. 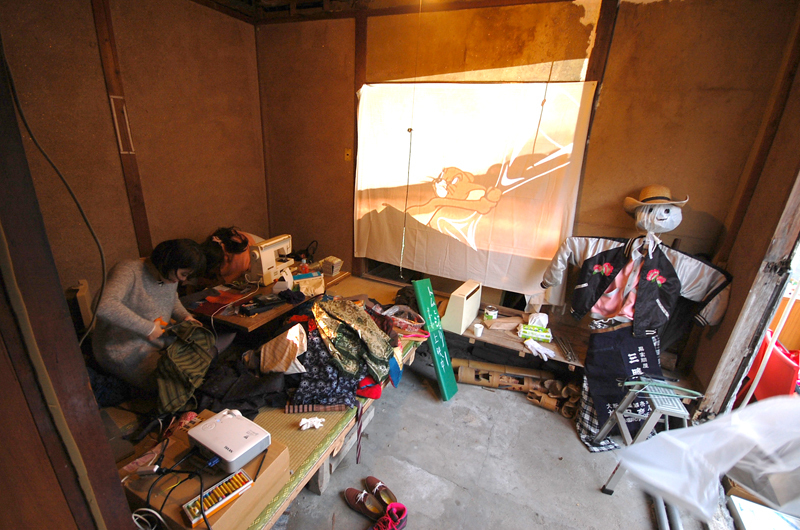 Also, people could witness the work of producing a Noren* made of old clothes and Kimono fabrics. 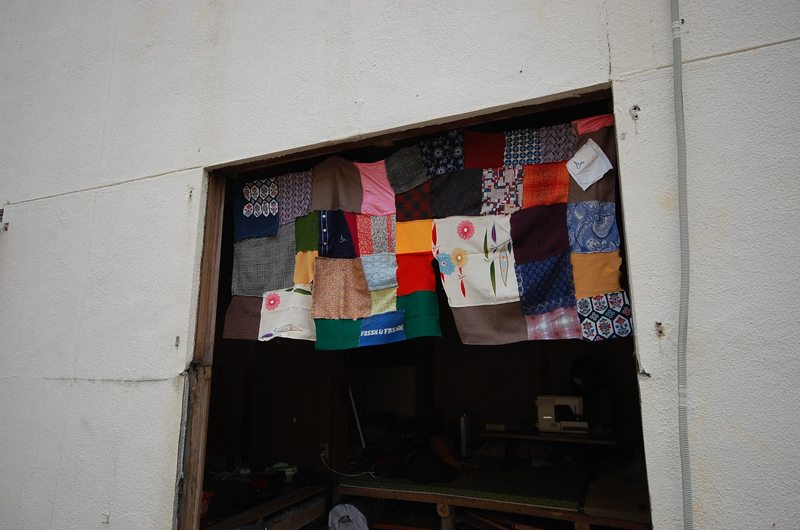 *Noren is a store curtain which is short length curtain with splits hung under eaves at Japanese stores.